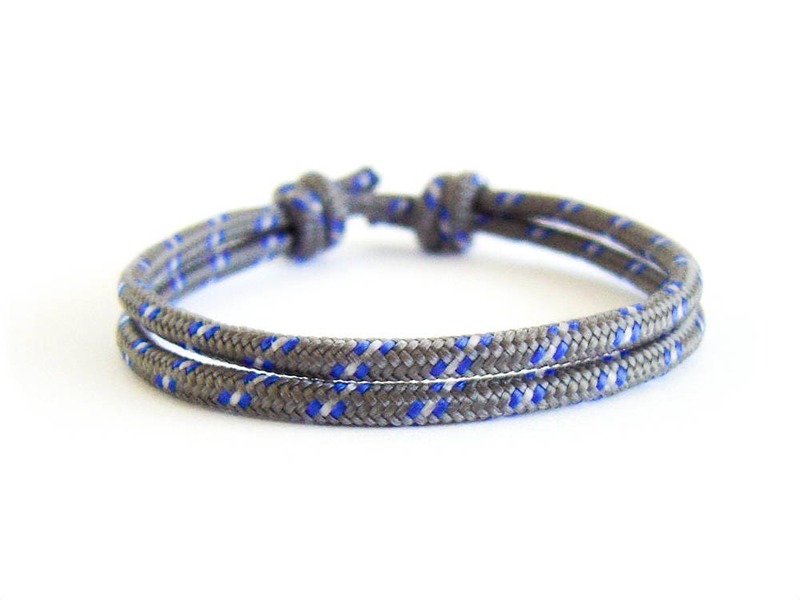 The only mens bracelet rope you'll need for the rest of forever. 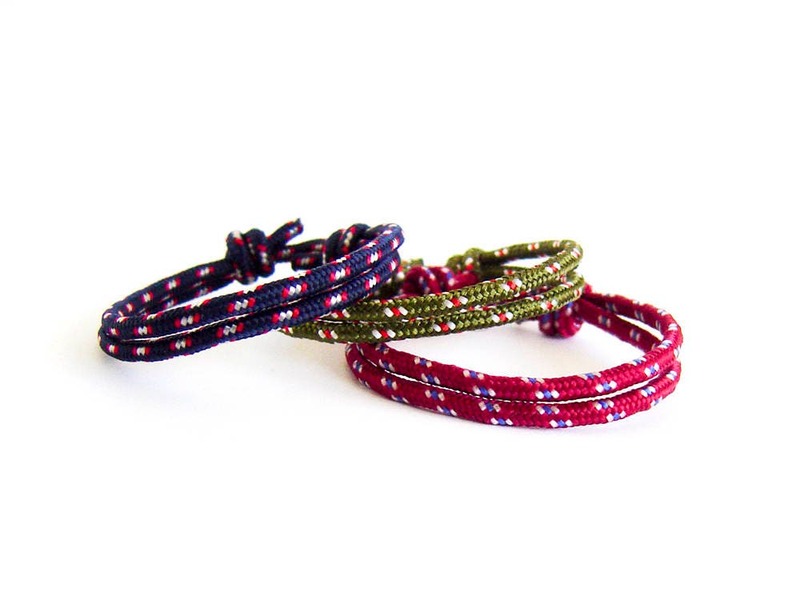 We handmade it as unisex bracelet. 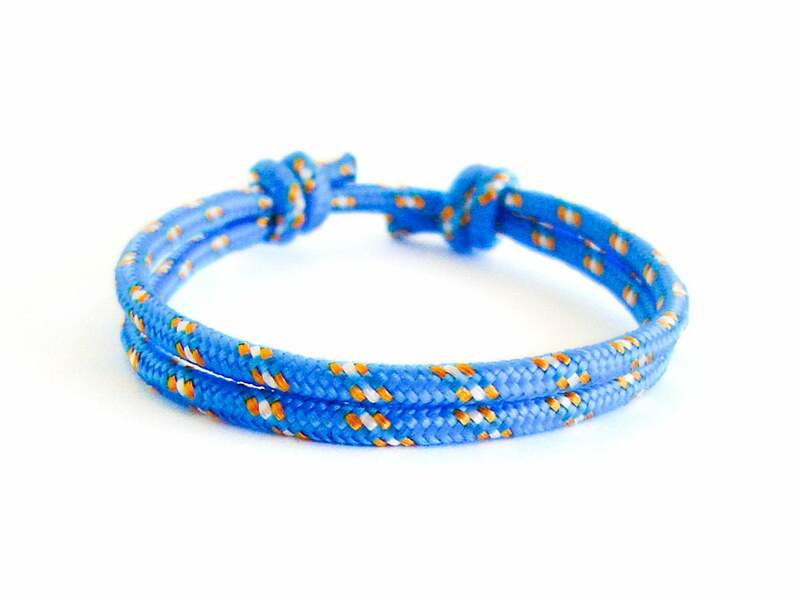 This mens bracelet thin cord is created of rock climbing rope and is adjustable. 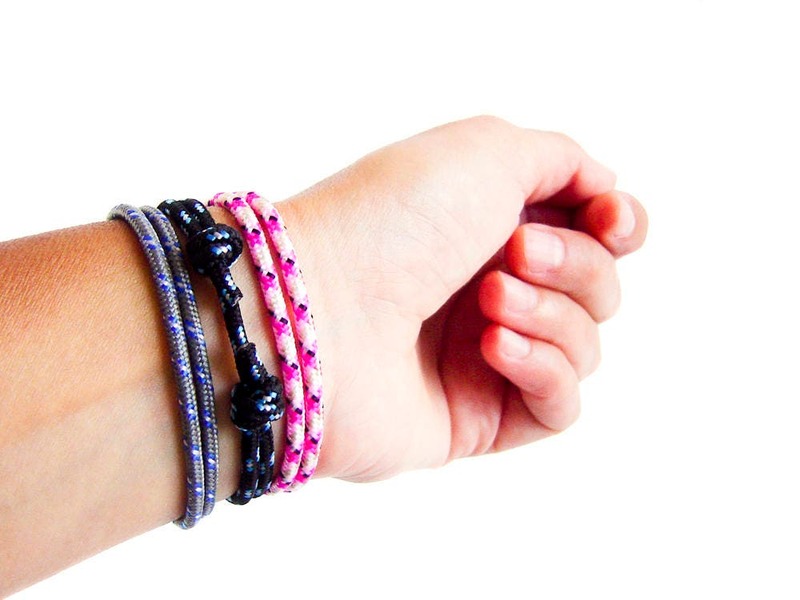 We were inspired of yoga jewelry to create it. 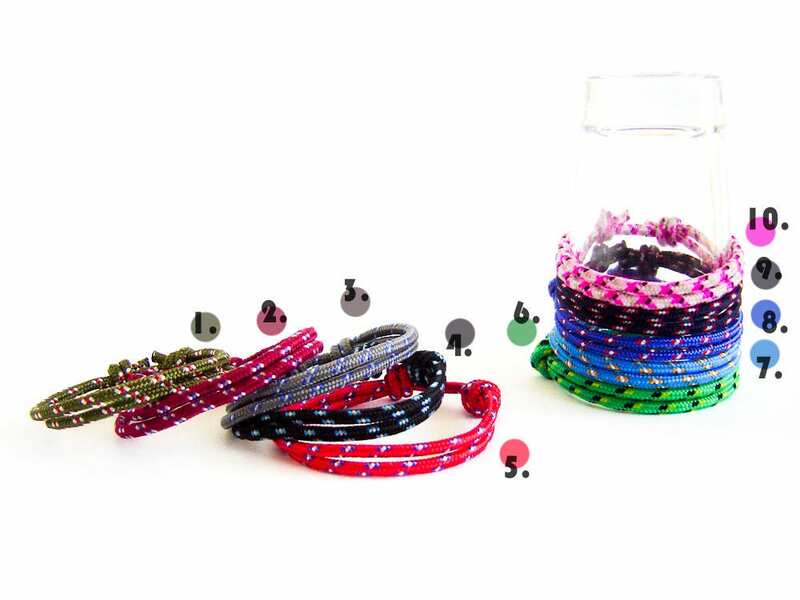 It is nice idea to be used as unique father's day gift or fishing gift to every men (women), who loves active way of living. 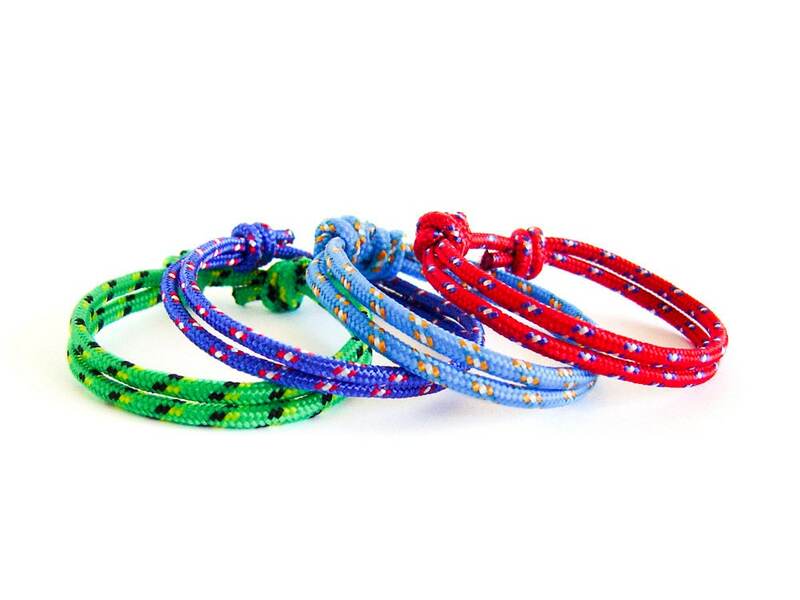 It is lightweight and once you put it around your wrist you will forget that you are wearing a bracelet. 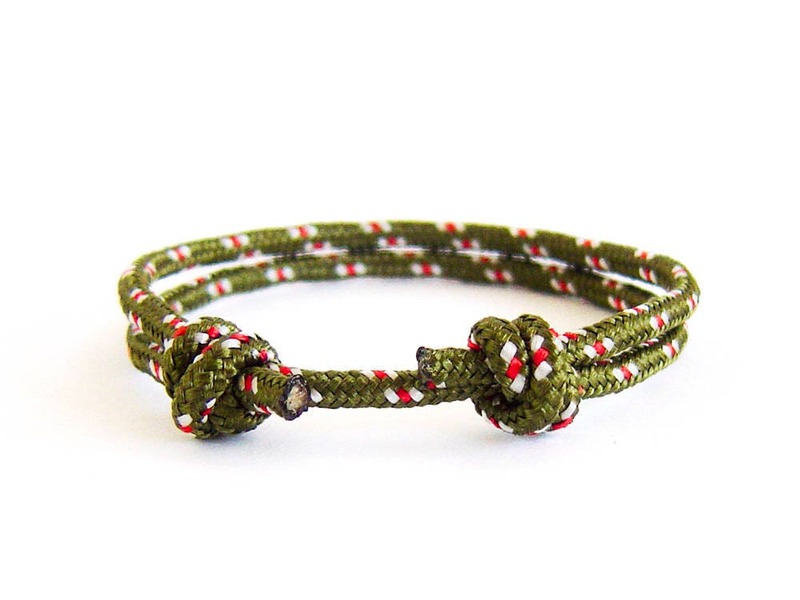 It is handmade of fabric rope, and you can wear it everyday, all day long. You can even wet it. 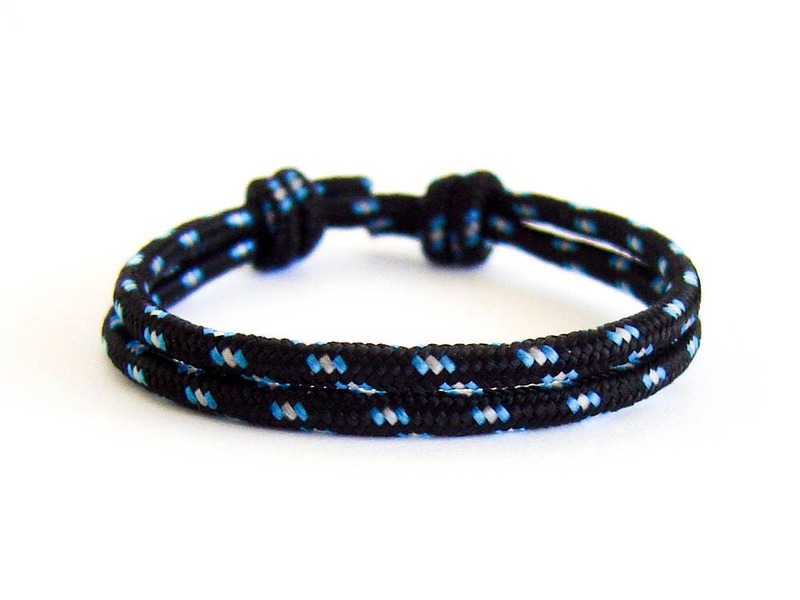 One size fits all, men and women (its unisex bracelet). 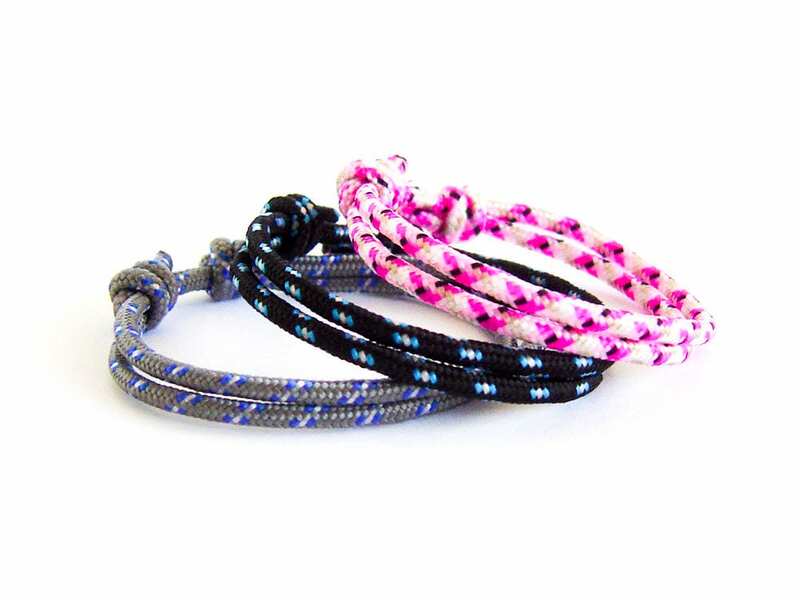 Slide the knots on the rope to adjust the perimeter. It fits from small to big hands. 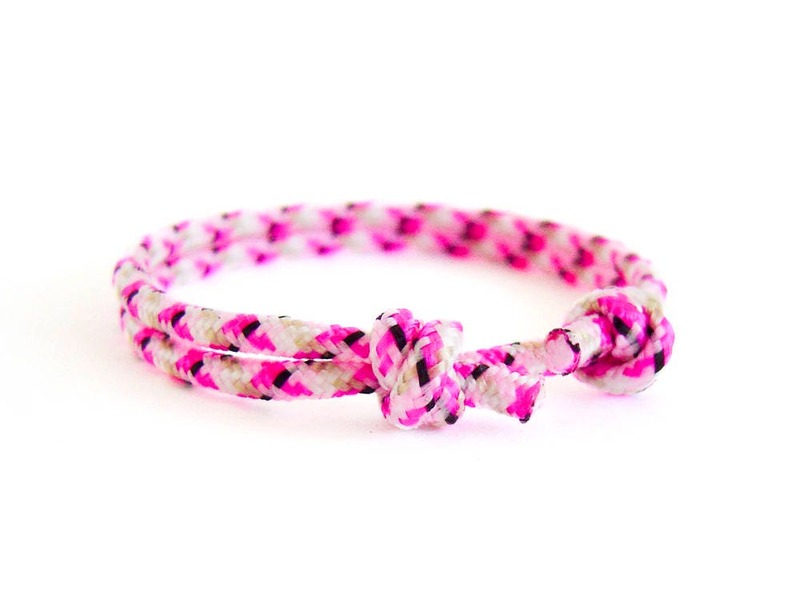 PS: You can order our bracelets gift wrapped.